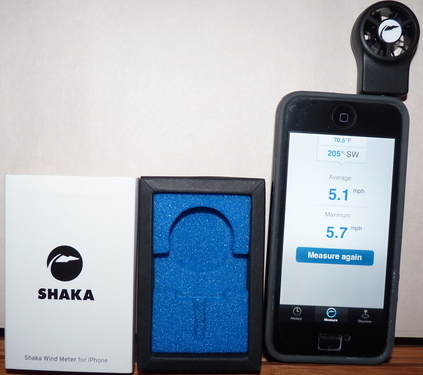 You need – Shaka Wind Meter. iPad 2, The new iPad, iPad mini. iPod touch 3rd gen, iPod touch 4th gen.
Download the Shaka Wind Meter app and sign up. Plug the Shaka Wind Meter Device into the headphone jack. Measure, make better decisions and enjoy! Share your measurements instantly with others. Find the best wind conditions out there, shared by others. Wind sports like Windsurfing, Kitesurfing, Sailing, Gliding. Also for Golf, Aviation, Hunting, Shooting Sports and many more.